Would you like to make some positive changes in your life? Are you're taking care of everyone else and you don't have time for your own needs? Do you wish you had more time and energy to do things you enjoy? Do you recognise your own abilities and talents, strengths and courage? Would you like to learn how to gracefully say no to some things? Would you like to be more assertive, get what you want and maintain good relationships? Would you like to be less vulnerable to your emotions and handle stress better? You will receive the tools, techniques and skills to make positive changes in your life and improve your wellbeing. uncover the power you have within to be creative. In doing this program, you will gently dissolve the layers that keep you from connecting to your inner wisdom and living your true purpose. Being part of this women's circle will give you emotional and spiritual support. It is a special place to form friendships with like-minded women. It is an invaluable undertaking, to get together with a group of women and share your journey, experiences and wisdom. Often with much laughter and the occasional tears, knowing you are being supported and understood. As such you will find yourself making progress in leaps and bounds. Whilst we can learn from each other through sharing our experiences and wisdom, there is never any obligation to share. Just being present is enough. Contact Anna if you have any questions at all. If you'd like to chat to me about the women's circle, please include your phone number and best times to call you. Workshops and classes can be arranged for business, community groups and organisations. Email Anna for more information or to arrange a time to discuss topics, programs and options. Work one-on-one with me, either in person, zoom or telephone. I gained a lot of insight into my behaviour and reactions. ​The group was wonderful: I always felt totally accepted and learned a lot from Anna, the wisdom from others she shared with us, and from the other group members. I felt the course was really well structured, resourced and organised. I particularly found the life skills and practical approach useful, along with the spiritual side. I loved the cards given out! Quite a magical experience: we are so fortunate to have access to this in our community. Will really miss going and would love to do other short courses. Anna's workshop was gentle, loving, kind and nurturing. I would highly recommend Anna's workshops to anyone who needs more love in their life or who just needs to feel safe when they are going through changes. The support I feel from the women in this group has been amazing and uplifting. This has been the best way to spend a Friday morning in a long time. A group of lovely, positive people. A room filled with love for ourselves. Thank you. 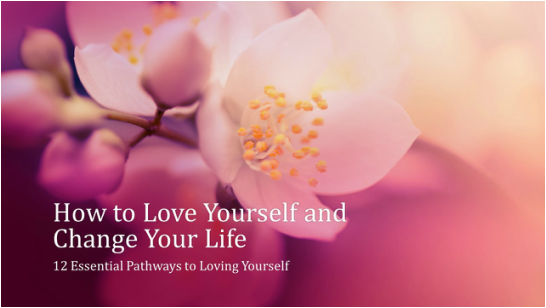 Download your Free EBooklet "How to Love Yourself and Change Your Life"
Thank you for including me in your very special women's group. You have really helped me through a difficult time in my life. This women's group provided a safe and secure environment that allowed me to be open and share my thoughts so that I can begin to love myself again. To Release Self Judgement, click on freebies button below. A great journey into being happy within yourself.